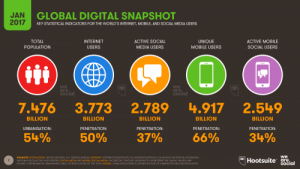 This is a shocking amount of time to spend on the internet every day and for this reason I would like to talk in this blog about the negative and positive effects of increasing usage of social media. Social media networks are very popular today as you can see in the quote above. Social media has been growing exponentially for the past years, a research by Statista has shown that in 2010 there were 0.97 billion social media users worldwide and it estimation for 2021 shows it will be 3.02 billion worldwide. America is the number one social media user with the highest penetration of 66% according to Statista (2017), in Asia pacific China is definitely the biggest user also because of its population. However, Thailand for example, had 46 million social media users and only has 68 million people, this is again a high usage number. Social media has become a great part of our lives, it is almost as if we have a second life namely, online. You can do a lot of things online like, make new friends, share things you are interested in with them, shop online, obtain information as much as you want and about everything you want and so on. There are countless of things to do online but, what does this second online life do with your mind? 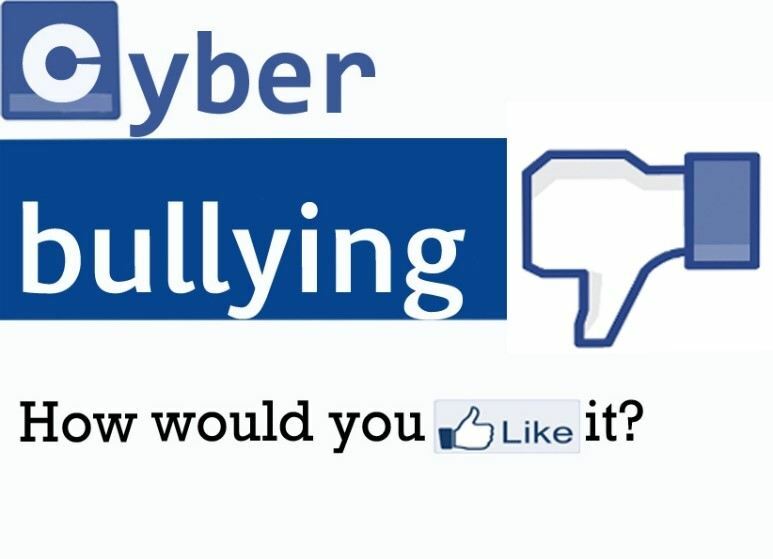 Social media has become a very popular medium of bullies also called “cyber bullies”. Back in the day when there was no social media, bullies could only confront their target in real life. Now if you are bullied on school and you go home to your save environment they are still around you. 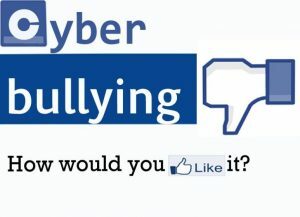 Moreover, cyber bullying is worse than in real life, because people don’t have the idea that the things they say online really affect these people who are bullied. In fact, it does affect them but it is online, it is not real for a lot of people and the bully does not see what he does to other people. Examples of people killing themselves are not a rare reaction on cyber bullying, it happens all the time. I think that is absurd and it should be stopped, there should be more consultation about cyber-bullying in school and it think the social media networks should also take their responsibility. According to Mind Jumpers, 64% of smartphone users, use their phone to shop. They look for references to make up their mind what they should buy. Moreover, the famous and rich are almost all active on social media platforms. They show off their good lives, expensive clothes, cars, house and other material goods. We as normal people see this and have are eager to have this too. For the youth, it means their spending behaviour gets influenced, they want to be like their idols, wear their clothes and have the live they have. Nowadays, many people believe they can buy their way to happiness. For some reason today’s world seems to dream about wealth and material goods. Examples of rich people on social media make people believe that their wealth and ownings are the reason for their happiness. However, various studies have shown that being rich does not mean you are happy. If you think logically about this you can think why, people stay people and they all have somehow the same emotions and they all struggle in parts of their lives. Of course, money sometimes makes things easier for people but it certainly does not make you happy on its own. In my opinion, this is something that has been the subject of researchers for a long time but, social media brings the wealth and “happy” live of people more to our attention, what does results in many cases in “unhappiness”. I have even felt the same way but, in the end you will find out that it not brings you any happiness at all. Instagram is a big player in the social media platform of today, it has 800 million registered users in September 2017 according to Statista. This is an enormous platform that Instagram users can reach. The downside of this is that mostly girls are obsessed about getting as much likes as they can and when they don’t it means, the end of the world. If you search for suicide stories on google regarding to Instagram, it will be shocking to see how much you can find. This is a big problem. click here if you want to see more. Second issue is caused by Instagram, magazines and photo shopping. These platforms shape the perfect body image for teens nowadays, these body images shown are mostly not real because they are photo shopped. Teens minds are manipulated to believe this is what they should look like, the problem is, THEY CAN’T! On the other hand, in the U.S.A. fast food is highly promoted online and it is cheaper than healthy food, this results in teens wanting to have the perfect body but also eat food that makes it very hard for them to be healthy and look like this. Physical contact, looking in each other’s eyes, speaking, these are three examples which we experience during real life communication. The online world is very close to real life, it only lacks the reality of being in person. Social media already has and will have even more influence on the development of social skills of the youth. Social media offers a huge platform of communication which is more easy than communicating in real life. The downside of these online created relationships is that we tend to forget about our real relationships because we focus so much of our time on social media according to Strogatz. Moreover, on social media you can pretend to be someone else and say things you would not say in real life, for a good example I would like to refer to my paragraph about bullying. 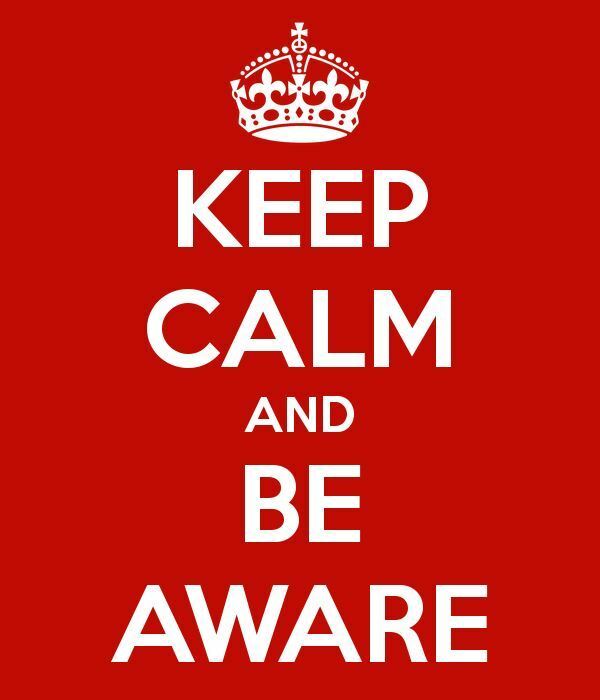 Concluding, I want to warn people to be aware of their behaviour regarding their mobile phones and social media use. Social media is a nice thing but it can also bring negative influences in your life. Children today are more social because it is easier to communicate, that is what social media does, but what good is it when you can socialize on the internet if you can’t in real life. We have to wake up and realise that today’s social world is changing, we are losing our precious time by spending hours on our mobile devices. It influences our relationships, productivity, focus on what is important and much more. 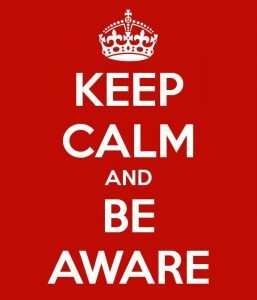 In my opinion, we should be aware to stop the world from becoming slaves to the online world.